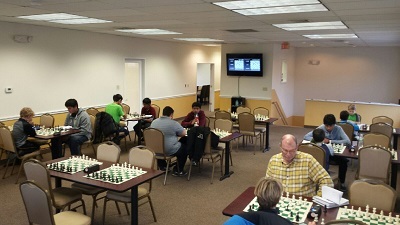 It was another busy day at the Chess Club of Fairfield County with many exciting quads. 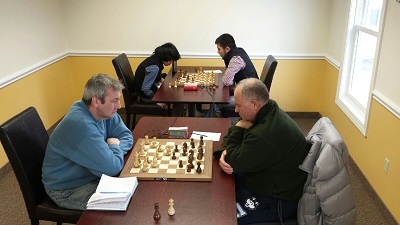 CCFC instructor and Senior Master Arslan Otchiyev was the favorite in quad one and cruised to a perfect 3/3 score! Nowell Sheinwald went undefeated and leapfrogged over Max Lu in the final round to win quad two. CCFC instructor Robert Steindorf showed no rust and won quad three by a full two point margin. Brent McCreesh returned again today to continue his winning ways. His 2.5/3 was enough to give him first place in quad four. After not playing in a single a tournament for the past six months, Bilal Memon returned to continue where he left off, winning quad five and picking up 100 new rating points! Thank you to everyone who came out today and we look forward to seeing you again soon!